"Venice Kids Count," a broad coalition of neighbors, parents, and residents in Venice, filed suit against the City of Los Angeles today to stop the city from illegally converting the Westminster Senior Center into a storage and services hub for the homeless. The suit follows many months of resident, parent and VSA protests that a deed restriction on the property bars the storage use and that the City had failed to obtain a Coastal Development Permit for the obvious change of use. The center is in a public park that is bordered by Westminster Elementary School, where more than 400 children attend school, and is just one block from a pre-school. 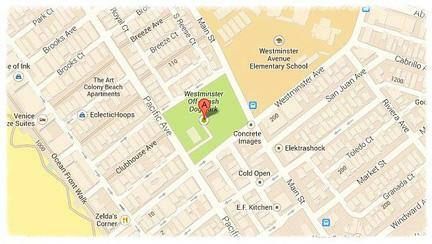 It is also home to the Westminster Dog Park, which has been a popular gathering place for local families for decades. The city is planning to open the storage facility in the senior center on November 1. A Court Order, issued in 1950 by the Superior Court of California, expressly prohibits this kind of conversion from a public park to a storage and services hub for the homeless. The Court Order states that the park should be used for "public playground and recreation purposes" only. The conversion is part of a broader plan proposed by Councilperson Mike Bonin (CD-11) to install an extensive network of resources for the homeless in Venice over the next several months, including new housing projects on Venice Boulevard and Thatcher Avenue, 24-hour restroom and shower facilities on the Venice Boardwalk, designated overnight parking with restroom access, and mobile shower facilities. The Venice Neighborhood Council (VNC) voted against repurposing the senior center and proposed a mobile storage and outreach solution modeled on successful programs in other cities to address the needs of the homeless and community concerns regarding school safety and the preservation of recreational resources. "We created and vetted an innovative mobile storage program that brings the storage solution - complete with street outreach teams - directly to the homeless, when and where they need it," said Heidi Roberts who serves on the VNC's Homeless Committee. "It's a great program that can be scaled to address the needs of the city's homeless and expanded beyond Venice in a cost-effective and efficient way. It's a win-win." However, Bonin declined to delay conversion of the senior center to consider the VNC's proposal. "While we understand the City of Los Angeles needs to do something to help the homeless, importing hundreds of homeless to this community, right next to a school where hundreds of children spend every day is a careless choice," said Katrina Glusac, a parent of a Westminster Elementary student and member of 'Venice Kids Count'. "Especially since there are options that would provide the services without sacrificing the safety of our kids." 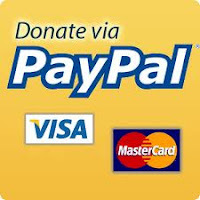 Go to http://www.venicekidscount.org/ for facts, contact information, background, opportunity to donate.